The alumni association needs your support in order to keep our alumni base connected. At this time, our treasury is comprised almost solely of the Wellons Fund, which has been allocated to be used for a housing issue at the chapter, and the Undergraduate Assistance Fund. In the past, dues and contributions have enabled us to break even on the costs of our alumni relations program spearheaded by Affinity Connection, our alumni relations partner. They maintain our database, host our website, provide assistance with the content for our newsletters, publish our monthly e-letters and periodic printed newsletters, and support us in any way needed to keep our brotherhood connected. These services could not be provided by our small group of dedicated supporters and volunteers. This fund needs to be replenished by contributions in order to allow us to maintain our alumni relations communications program. 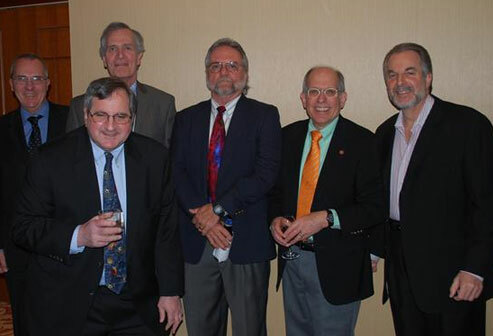 When we chartered the association in 2003, we had 110 dues-paying members. This number has fallen off significantly since then, and we have been able to fund our alumni relations program only with the additional support of a core of very generous supporters. I would like to ask you to help us remedy this situation by paying your 2016-17 alumni dues if you have not already done so. The minimum amount is $100; the suggested amount is $150. Your minimum dues and additional contributions go into our General Fund, the source of funds for our communications program. If you are not sure of your dues status for this school year, please send me a NEW message at jlclii@aol.com and I can advise you of your status. We hope you will respond positively to this renewed appeal for dues-paying members and additional donor support. The continued vitality of the alumni association is essential to keeping us in touch, organizing Founders Days and other important events, and ensuring the well-being of the undergraduate chapter. Please do whatever you can to help by paying your 2016-17 dues and sending in as large an additional contribution as you can. Thank you in advance for your support of our Beta Pi brotherhood.